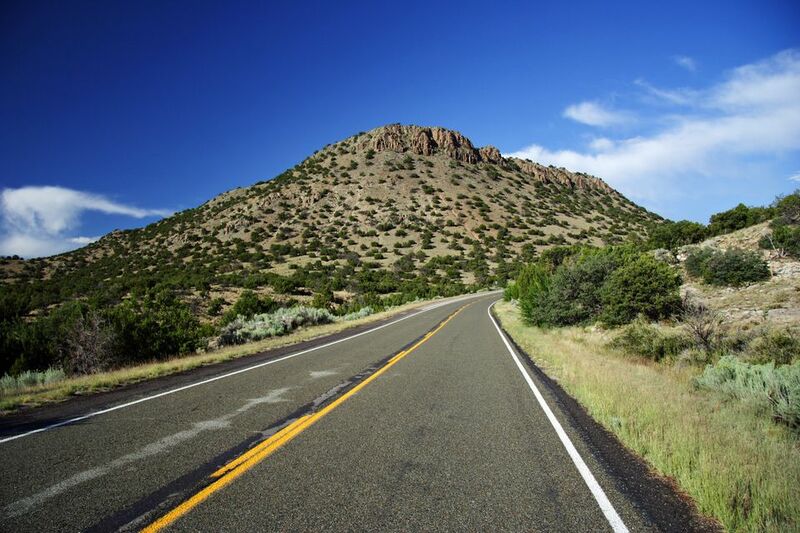 The Turquoise Trail in New Mexico is a scenic highway linking Albuquerque and Santa Fe through rolling hills with mountain views and quaint historic mining towns. The trail begins to the south in Tijeras and the Cibola National Forest, then heads north through Cedar Crest, Sandia Park, Edgewood, Golden, Madrid, and Cerrillos, before ending in the San Marcos/Lone Butte area. Many travelers begin their drive along the Turquoise Trail just outside Santa Fe. Take exit 278A off I-25 south of Santa Fe, and you are headed south along the Turquoise Trail. Gas up. There are no gas stations along the rural parts of the trail. Plan to stop in Madrid to eat. There are not many restaurants in the rural parts of the trail. Allow a half day if you are driving with just a few stops or a full day if you are going to enjoy exploring the historic towns and Tinkertown Museum. As you follow the Turquoise Trail from Santa Fe to Albuquerque, a first stop is Cerrillos, known for its Cerrillos Turquoise and as the setting for "Young Guns," filmed in 1988. Cerrillos is still a lazy rural town, but worth visiting for the few shops, art studios, and western scenery. It is the quintessential dusty western town. You'll find a dog lazing in the middle of a dirt street, a nationally known artist in his studio and adobe homes creatively fashioned by escapees from the '60s. It's an interesting place, especially if you bring your camera. St. Joseph’s church, on the main street, is a photo op. It's an active church and you can attend Mass there. It won't take you long to walk the main street. There are a few artists' studios and Mary's Bar, where you might want to stop to wet your whistle and pet the cats. Follow the signs off the main road to the Trading Post and Mining Museum (add in a petting zoo for the animal lovers). 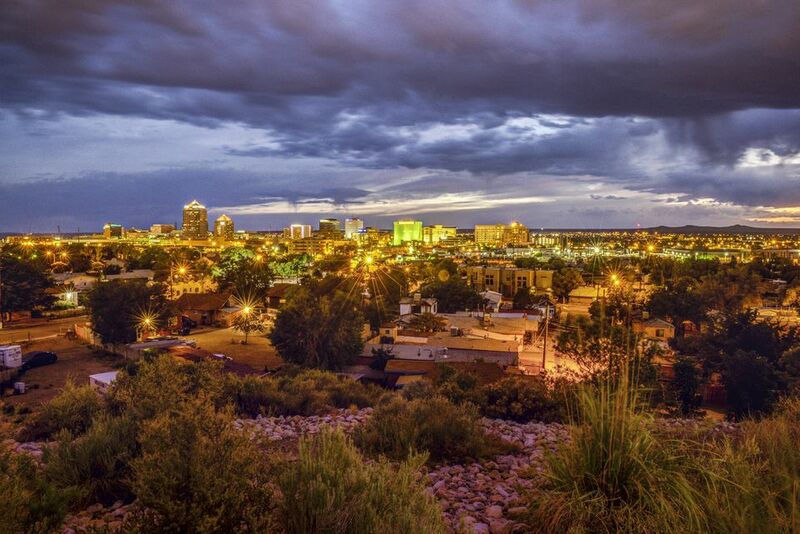 The Casa Grande Trading Post, Cerrillos Turquoise Mining Museum and Petting Zoo is located on 17 Waldo St. It's a fun place definitely worth a stop. The Browns run this rambling place and offer real Cerrillos Turquoise mined from their claim (the main mine has long been closed). There is a small charge for entrance to their mining museum, and if you wish to feed the animals, there is another small charge. Madrid, New Mexico, is a main stop on the Turquoise Trail. Madrid was once a coal mining town and the streets are lined with small miner's homes, which have been converted into shops and galleries. Disney's "Wild Hogs" was filmed here. Have lunch at the Mine Shaft Tavern, built in 1944. It is a bar, but the room is usually filled with families at lunchtime having burgers. When you visit, make sure you have a look at the paintings over the bar. They were done by Sandia Peak artist Ross J. Ward (of Tinkertown fame) and colorfully portray Madrid's rich history. The Latin phrase on the angel's banner translated reads, "It is better to drink than work," a call to the weary miners. There's also a museum next to the tavern. Madrid was once a coal mining town and the streets are lined with small miner's homes that have been converted into shops and galleries. Today, this recovered ghost town is a famous art destination. To appreciate Madrid and find the treasures, you'll need to poke your head into each and every shop. Take a leisurely stroll down the main road and look in each shop and gallery. They are friendly places. Many have yards and patios and are filled with treasures and funky art. But don't neglect an appreciation of the old buildings, some deteriorating, as they have a unique and artistic charm. A highlight of the Turquoise Trail, not all that far from Albuquerque, is the Tinkertown Museum and property. The late artist, Ross J. Ward, spent years constructing displays, both small and large, for your enjoyment. Tinkertown defies description—you just have to visit. The artist began his career by painting large circus and carnival signs, often on tarps and canvas. He eventually put together ​a traveling show with his art and miniatures, dubbed Tinkertown. Together with his wife, Carla, he built the current Tinkertown. His handiwork is displayed in the bottle glass walls, the iron sculpture, and the amazing miniature displays with moving components. Ross Ward died with advanced Alzheimer's. Look for a car on the property that is covered with miniatures. A sign indicates the car kept Ross busy; the car keys had long been secreted away due to his advanced dementia. Ross Ward is most known for his miniature scenes. From circus scenes to this Indian silversmith scene, the details, all hand-crafted, are amazing. Make sure to press the buttons and enjoy the moving parts. In this day and age of video games and computer-generated special effects, it is refreshing to take a step back and time and enjoy the hand-built miniature scenes, the circus music, and the small moving details. See his miniature scenes in the Tinkertown Museum. Santa Fe, New Mexico: Aliens Like It. Will You?